Our website allows you to carry out a very quick, free “arm-chair” survey on your property to see how you can save money by installing renewable energy technology. Not only can you get ideas to make your home that little bit greener, but you can also get quotes from trusted, qualified renewable energy installers to carry out the work should you wish to go ahead. The website has been live for some time now, but the official fanfare announcing it’s arrival has not happened until today – bring on the virtual dancing girls, the virtual fireworks, red carpet and ribbon to cut! Since the survey we provide is already free, we are working with our installation partners to try to get you the very best deals for fitting the projects that you choose. This is especially important given the recent reduction of the Feed-in-Tariff rates which are reducing the returns for solar PV and wind projects. Despite the government’s aim to be “pro-business” they are currently treading a very fine line between subsidizing the solar industry for growth and trying to conserve their scarce cash. But what does this mean to you, the homeowner, or energy saver? It does mean that there is a little uncertainty about the savings that will be made in the future, but for now there are substantial savings to be made, making it a good idea to act now before funding is reduced further. Both the Feed-in-Tariff and Renewable Heat subsidies will have their part to play. While the impact of the FIT is beginning to decrease with over 80,000 successful installations and over 300,000 Kw capacity achieved, meaning that the qualifying technology is now cheaper, the Renewable Heat Incentive should introduce a new wave of financial support to homeowners when it is launched as part of the Green Deal. Every renewable energy installation will produce energy every day for the next 25 years and hopefully beyond. As more and more systems are installed over time this will continue to add up, and not contribute any further CO2 emissions. The government are behind these initiatives in a big way and despite all the economic troubles on the whole this financial support has been consistent and positive. Some estimates suggest that up to 50% of the energy that we use in our homes is lost through our old and poorly insulated walls, roofs and floors. Address this and you’ve solved a huge part of the problem, and if you’re already looking at renewable solutions then surely you’ll be amenable to ‘quick wins’ achievable by topping up the insulation in your loft and lagging your boiler? There are lots of other reasons to ‘go green’, some more altruistic than others, but whatever it is that convinces you, remember that this doesn’t have to be a sacrifice. This is can actually one of life’s win-win situations; you can do your bit to save the environment and you can save some money too! 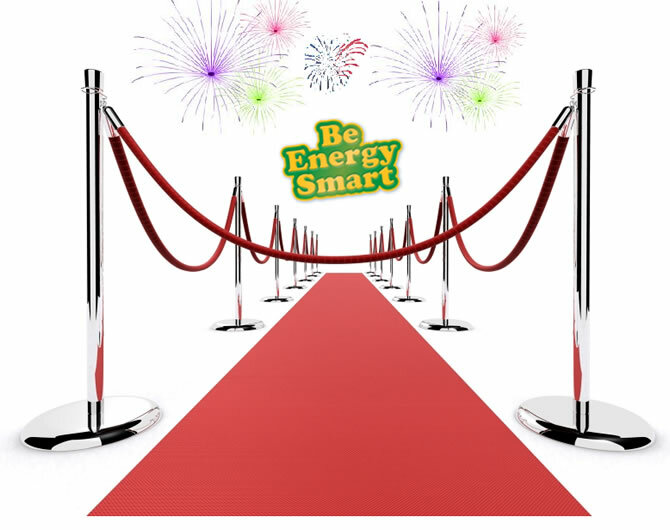 Find out for free what you can save and which renewable technology will work best for your home at Be Energy Smart by taking our no obligation energy assessment. This entry was posted in Green Lifestyle and tagged Energy savings, Home assessment, Renewable energy, Renewables installers. Bookmark the permalink.